Barack Obama accepted the Democratic nomination in a packed stadium and challenged John McCain to debate "who has the temperament, and judgment, to serve as the next commander in chief." In a riveting speech the Illinois Senator spelled out his plan for change to the American people. Obama was greeted by tens of thousands of cheering supporters chanting "yes we can." He called upon Americans to help usher in an era of change after eight years of what he called failed policies. "Change happens because the American people demand it -- because they rise up and insist on new ideas and new leadership, a new politics for a new time," he said. He brushed aside critiques from his Republican opponent, accusing him of being out of touch. "It's not because John McCain doesn't care. it's because John McCain doesn't get it," he said of economic problems facing the country. Point by point, he addressed McCain's policies on the Iraq war, the economy, offshore drilling and health care, accusing him of pursuing the same policies as the Bush administration. blasting John McCain's support of Bush failed policies. Vice President to be Joe Biden gave a surprise visit also blasting John McCain's policy. There were performances by Sheryl Crow and Stevie Wonder who sang sign seal delivered. Wed Former President Bill Clinton indorsed Obama and said he is ready to lead the country. Nelson died Friday of heart disease at his home in Sarasota Fla. he was 91. Wexler earned his reputation as a music industry giant while a partner at Atlantic Records with another legendary music figure, the late Ahmet Ertegun. His touch helped boost the careers of both the “King of Soul,” Charles, and the “Queen of Soul,” Franklin. 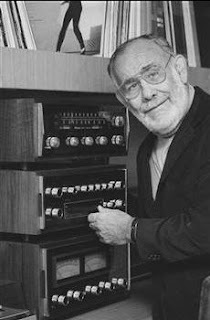 Wilson Pickett, Solomon Burke and Percy Sledge were among the other R&B greats who benefited from Wexler’s musical genius. He also produced Dusty Springfield’s classic “Dusty in Memphis,” considered a masterpiece of “blue-eyed” soul. In 1971, the theme from "Shaft" topped the Billboard Hot 100 for two weeks and won an Academy Award for best original theme song. The song and the movie score also won Grammy awards for best original score and movie theme. As a entertainer an friend I new him well.... He will be truly missed.